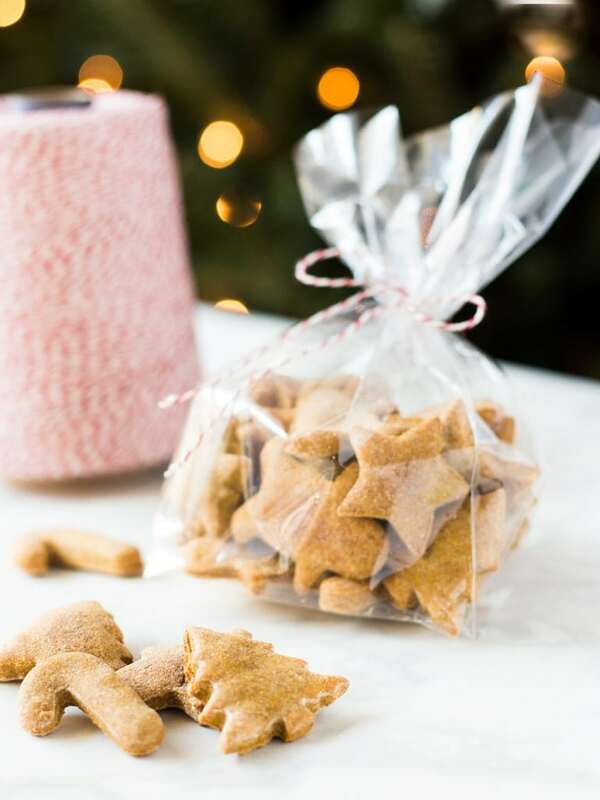 Homemade peanut butter dog treats are the perfect Christmas gift for your fur baby! This four-ingredient recipe is easy to make and is healthy for your puppy. Merry Christmas to me! I just got my very first puppy! His name is Hudson and he is a golden retriever. It was only a matter of time before I started baking dog-friendly treats, right? My family always had a golden retriever running around when I was growing up. Since moving from Connecticut to Charlotte, North Carolina, I missed having a four-legged friend around so I got one of my own! I picked up Hudson right after Thanksgiving and he has been fully immersed in my Christmas obsession since. Case in point, he was the recipient of these homemade peanut butter dog treats cut into Christmas shapes using mini cookie cutters! Needless to say, Hudson loved his homemade dog treats. They have his favorite ingredient—peanut butter! The biscuits also include pumpkin purée, which is easy for puppy tummies to digest. The whole wheat flour and eggs provides fiber and protein, respectively. 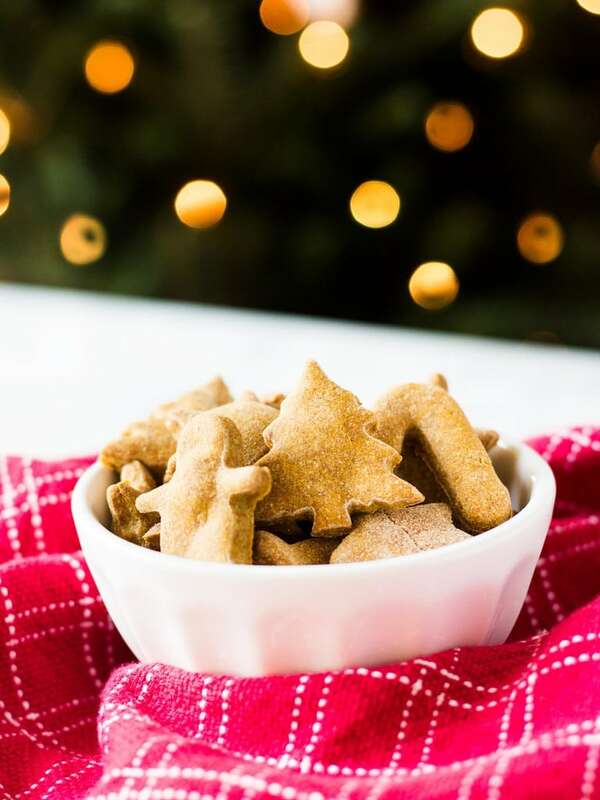 Just like Christmas cookies you would make for yourself, the dog treats are rolled out and cut into shapes using Christmas cookie cutters! Amazon has mini ones, which are the perfect size for our fur babies. The shapes include Christmas trees, stars, snowflakes, candy canes and more! If you’re making these any other time of year, try a circle cookie cutter or a biscuit shaped one. 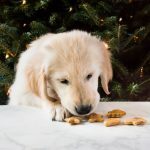 Use homemade dog treats for training or simply as a “good boy treat” whenever he’s looking cute. I’m a sucker for the puppy dog eyes! Surely there will be more canine-friendly recipes to come. If Hudson is any indication on how good these peanut butter treats are, I’m sure your pupper will enjoy them too! And if your dog has any gluten intolerance, oat flour is an excellent substitution to make gluten free dog treats. Preheat oven to 350 degrees F. Line a baking sheet with parchment paper or a silicone baking mat; set aside. In the bowl of an electric mixer fitted with the paddle attachment, beat pumpkin puree, peanut butter and eggs on medium-high until well combined, about 1-2 minutes. Gradually add 2 1/2 cups flour at low speed, beating just until incorporated. Add an additional 1/4 cup flour at a time just until the dough is no longer sticky. Working on a lightly floured surface, knead the dough 3-4 times until it comes together. Using a rolling pin, roll the dough to 1/4-inch thickness. Using cookie cutters, cut out desired shapes and place onto the prepared baking sheet. Place into oven and bake until the edges are golden brown, about 20-25 minutes. Consult your pet's veterinarian regarding possible allergies your dog may have. 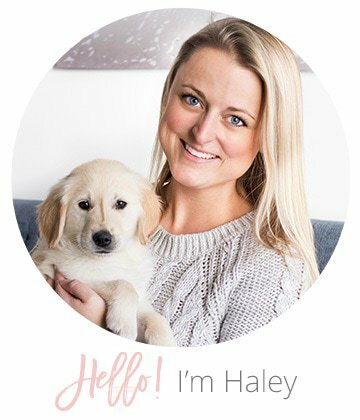 Try Barkbox free! Click here. Hudson loves his monthly Barkbox! It comes with toys and treats (grain free and soy free). 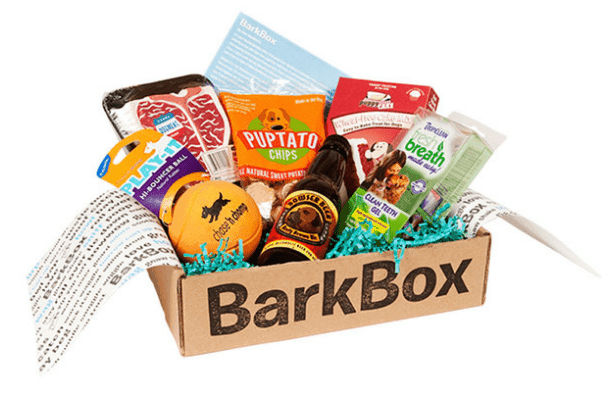 If your dog likes toys, try Barkbox and get your first box free! OMG! Cutest video ever. Grady can’t wait to meet Hudson. 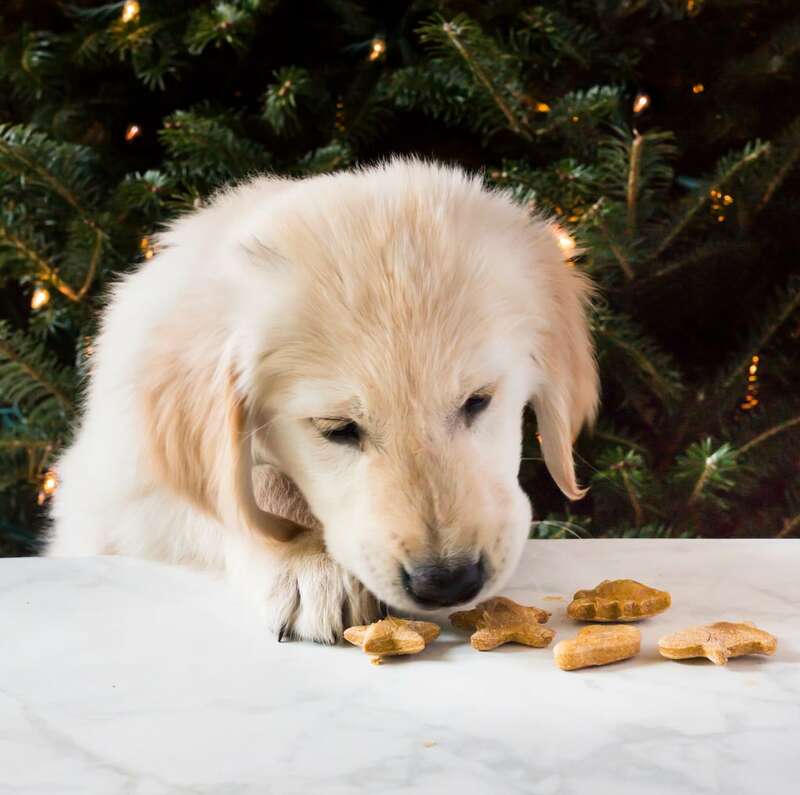 Grady hopes you’ll have some of those delicious looking treats on hand too when we see you at Christmas. Where does the 2 hours come in ? I only see 25 in the recipe itself. I made these today after finding your pupcake recipe. These came out perfect, and my dogs absolutely loved them! My picky eater even ate 3 of them in one sitting. This was my first attempt at homemade dog treats. I usually buy organic dog treats, but this saves so much money and they are fun to make. Thank you!